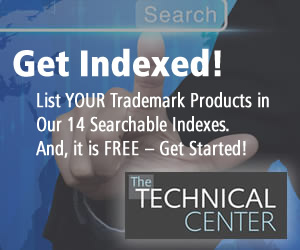 In today's high-performance fabric market, Cooling Technology has become an important science. In response to consumer demands in the outdoor and activewear markets, fabrics that involve cooling technologies have become increasingly popular. Manufacturers involved in the development of fabrics and apparel for these markets have also increased their R&D target towards new cooling technologies. Cooling effects in fabrics can be achieved in a variety of ways. While there is not currently a true industry standard as to how cooling can be measured, there are many fabric technologies commercially available that claim to achieve success in this area. Some developers use unique fiber constructions, innovative specialty yarns, or patented knitting and weaving processes that maximize airflow to create the cooling effect, while others utilize chemical additives to achieve the cooling sensation. The use of Phase Change Materials (PCM) is another solution, which involves a coating that provides a comfortable cooling effect. Still others use chemical-free natural mineral compounds embedded into the fabric at the nano-level to achieve a more comfortable feeling next-to-skin. 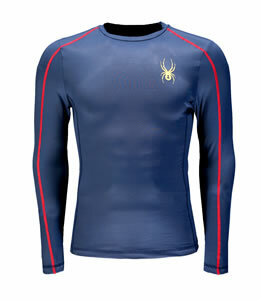 These cooling fabrics help maintain a comfortable body temperature during physical performance and hot weather. The FabricLink Network reviews some of the most recent solutions displayed at ORSM'18 that helps to keep the wearer cool in hot weather. Eastman's AVRA announced the next generation of polyester fibers with the introduction of Avra™ to the performance apparel market. Avra™ is a family of performance fibers that use a proprietary spinning technology, which enables a revolutionary ribbon-shaped synthetic fiber with a combination of shape and size never before seen, and is backed by a company and its 96-year history of manufacturing excellence. The performance benefits of Avra include: exceptional moisture management and a chemical-free "cool to the touch" sensation; quick drying---up to 50% faster than conventional polyester fabrics; and highly flexible fibers, which enhances the wearer comfort. Avra's ultra-thin polyester fibers are extruded and held together by a proprietary removable polymer, enabling easy knitting or weaving. Once the fabric is made, the removable polymer completely washes away in hot water, resulting in ribbon-like fibers that are smaller than existing polyester fibers. 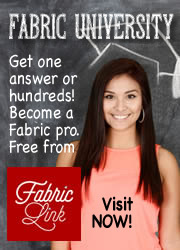 The result is a distinctly silky fabric that keeps the wearer drier and more comfortable than ever before. Avra fibers are made in the USA in collaboration with Unifi, Inc. in Yadkinville, NC. Milliken's EVOChill™ Collection of fabrics offers three levels of cooling that can be selected and engineered for integration into garment developmental specs. The EvoChill™ Core is Milliken's first phase of cooling. The technology has a soft comfortable feel, along with workhorse fabric features like odor and sun protection and maximum abrasion durability, while incorporating sweat-activated evaporative cooling and moisture wicking. EvoChill™ Vibe is an elevated level of cooling technology, which leverages all the benefits of the Core technology, and includes Milliken's patent-pending polymeric 3D printed heat sink mechanism that creates channels on the inside face of the fabric for more extreme sweat-activated cooling. The printed pattern can also be customized as desired. The EvoChill™ Pro fabric is Milliken's most advanced chilling solution, incorporating an intrinsic conductive layer on the inner surface, which allows high heat conductivity from the inner surface toward the outer layer of this revolutionary two layer patent-pending technology. Designed to be transparent on the inner surface, EvoChill™ Pro incorporates push pull wicking to release body heat while promoting a cooling convection. regulation, through an evaporative cooling process. 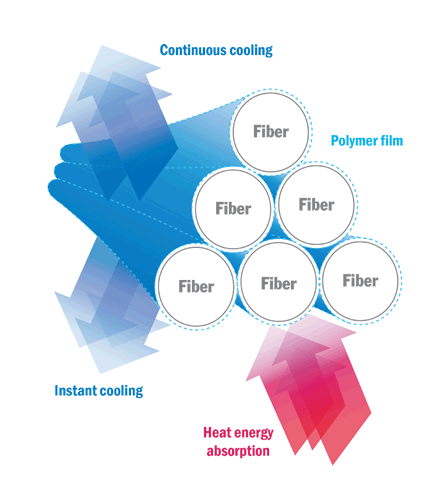 Evertex Fabrinology Ltd. revealed its innovative thermo-regulating hybrid wool/synthetic knitted fabric blends, designed for temperature regulation, through an evaporative cooling process to help the body maintain stability for optimal comfort. The new thermos-regulation technology provides effective wicking and quick dry management contributed by its polyester fibers. As a leading supplier in the outdoor market, Evertex is dedicated to producing highly technical knit fabrics, with heavy emphasis on durability, performance, and comfort for outdoor enthusiasts during extreme excursions. HeiQ's Smart Temp technology is an intelligent thermo-regulation, triggered by body heat. This innovative textile technology provides fabrics with the ability to interact with body temperature and dynamically respond to body heat. The cooling function is activated when the body becomes hot and sweaty, and is deactivated once the cooling is complete, which ensures optimal comfort and performance. HeiQ's Smart Temp technology complements the body's natural thermo-regulation process, just like a second skin, to achieve an enhanced dynamic cooling effect. Since consumers rate thermo-regulation as a value-added technology, HeiQ Smart Temp is specifically designed for next-to-skin textiles, bringing a new level of thermal comfort to clothing and hosiery. It also brings a special comfort to home textiles, such as bed linens and mattress ticking.